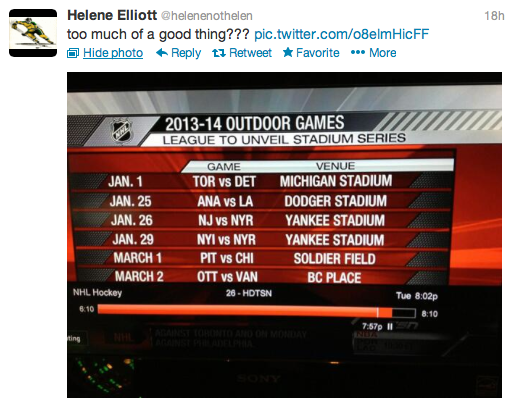 The NHL had their press-conference at Comerica Park today to discuss the 2013 Winter Classic. 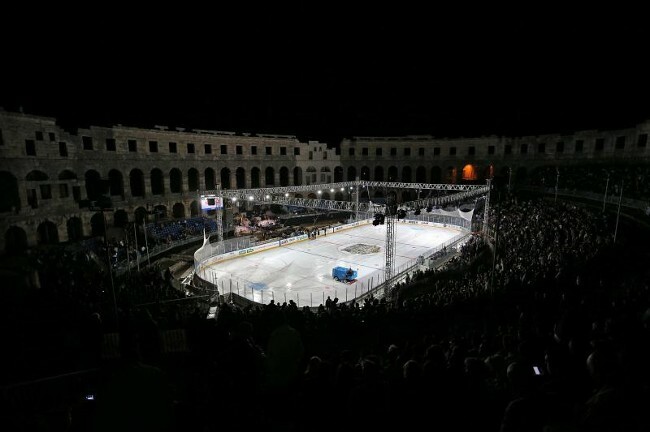 It was officially announced that the game will take place at the University of Michigan’s Big House and will be an original six match-up between the Toronto Maple Leafs and the Detroit Red Wings. 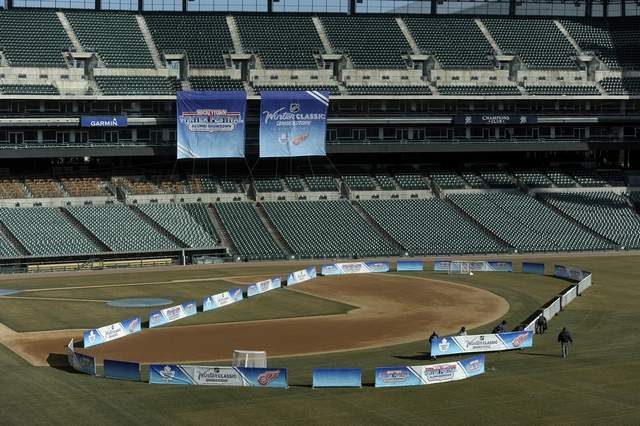 Most of us already knew this, but it was nice to get confirmation and also hear some new details about the festivities surrounding the Winter Classic. Speeches were made by league commissioner Gary Bettman and the owners of both the Wings and the Leafs. 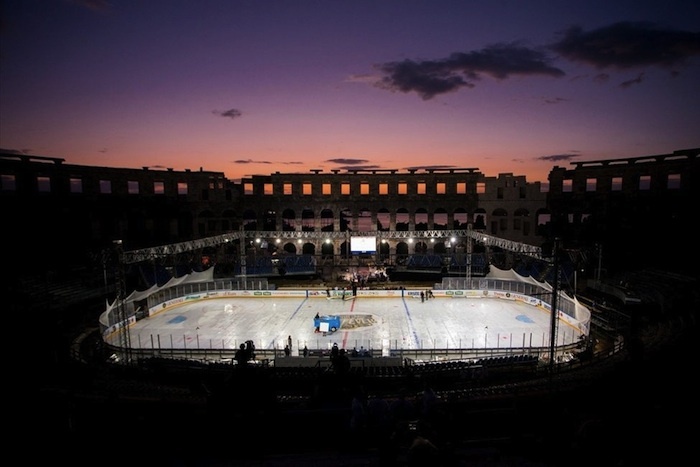 Bettman said that extra activities would take place in Detroit including open skates on the outdoor ice and numerous other hockey games. 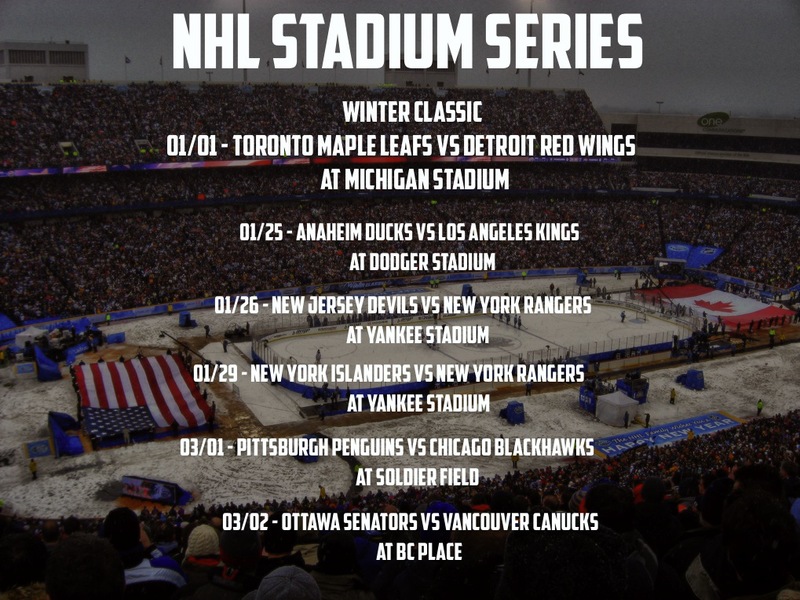 This ‘Hockeytown Winter Festival’ that will take place mostly around Detroit and Comerica Park, will include minor league affiliate battles (Granad Rapids Griffins vs. Toronto Marlies), OHL games (Saginaw Spirit, Plymouth Whalers, London Knights and Windsor Spitfires), youth games, and the Red Wing vs. Maple Leaf alumni game. The press-conference speakers kept repeating that there will be “something for everyone” which certainly seems like it must be true if you like hockey at all. 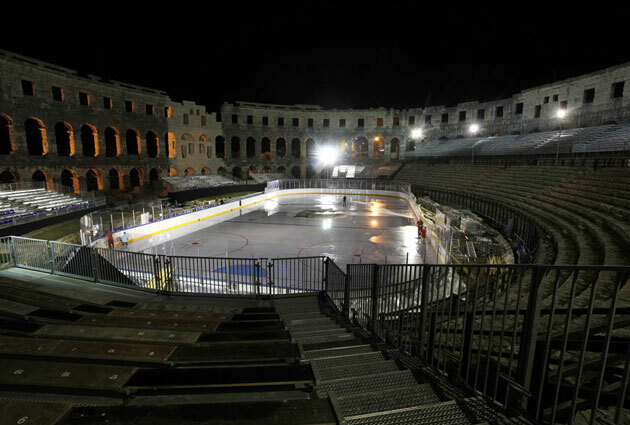 There was also a video shown during the press conference that featured past Winter Classic games and the age-old rivalry between the Wings and the Leafs. This rivalry was also talked about by owners during the conference. One of the stats given was that the Wings have played the Leafs 644 times. The Leafs have won 276 of those games while the Wings have won 275 (I realize this does not add up, I am assuming they were not accounting for ties). Pretty close though wouldn’t you say? The rivalry was said to have peaks in the 40s and 60s. 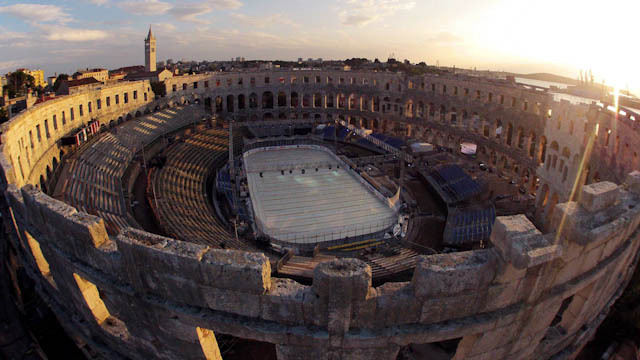 This game will be the largest Winter Classic ever played. 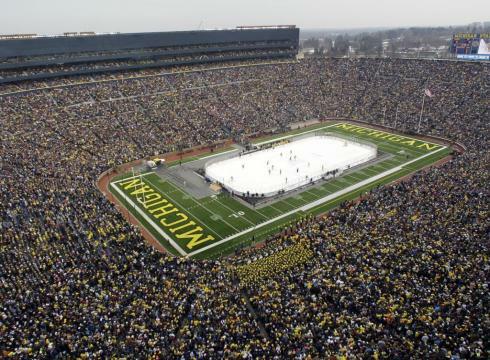 The Big House is said to hold 109, 901 seats for the game which is much higher than any other Winter Classic game ever played. This game also has the potential to be the biggest hockey game of all time. Yeah, pretty amazing. Is this the best thing to ever happen to Michigan/Detroit? There is definitely a convincing argument that could be made. Detroit or “Hockeytown” as they refer to themselves, are huge hockey fans and they seem thrilled to have the chance to host the Winter Classic. And the city could really use the positive impact of the Classic (socially and more importantly economically). And the $3 million the NHL is paying the University of Michigan to rent the Big House has to be huge for students and the people affiliated with the University. What is best is there is no way we will have to worry about weather delays this year- Michigan is darn cold!